En español | Flexible hours, 30-second commutes — and the ultimate in business-casual clothing. 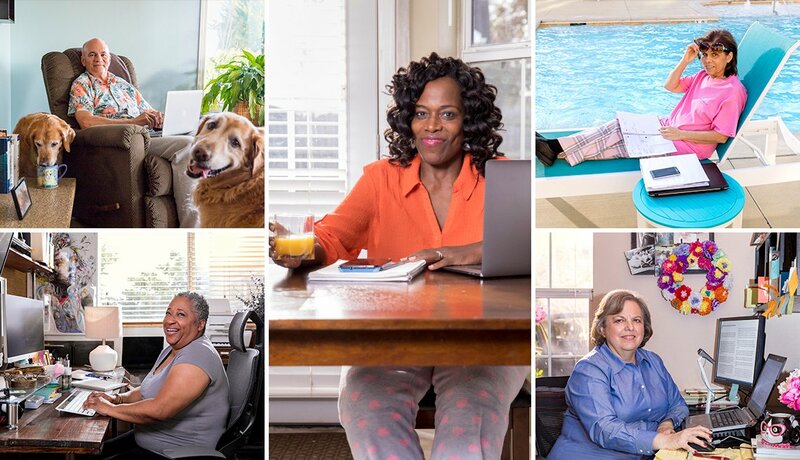 No wonder so many older adults are intrigued by the idea of a job they can do at home. 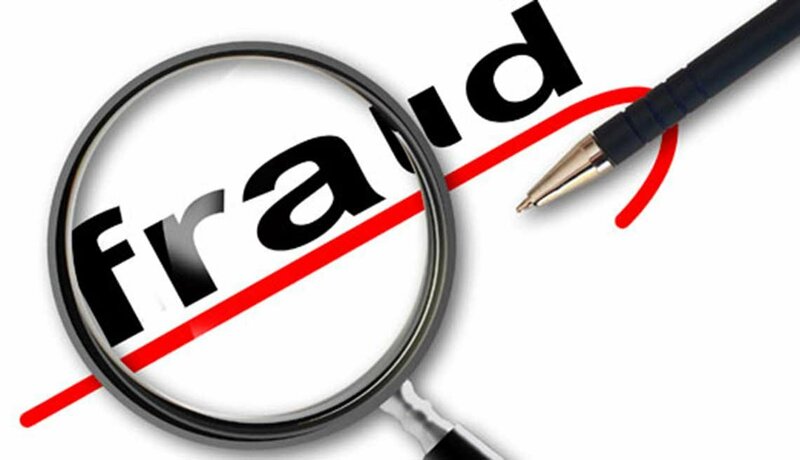 No wonder, too, that so many work-from-home scams are out there — 60 to 70 fake jobs for every legitimate listing, estimates Sara Sutton, CEO of FlexJobs, an employment search site specializing in telecommuting, part-time and freelance jobs. 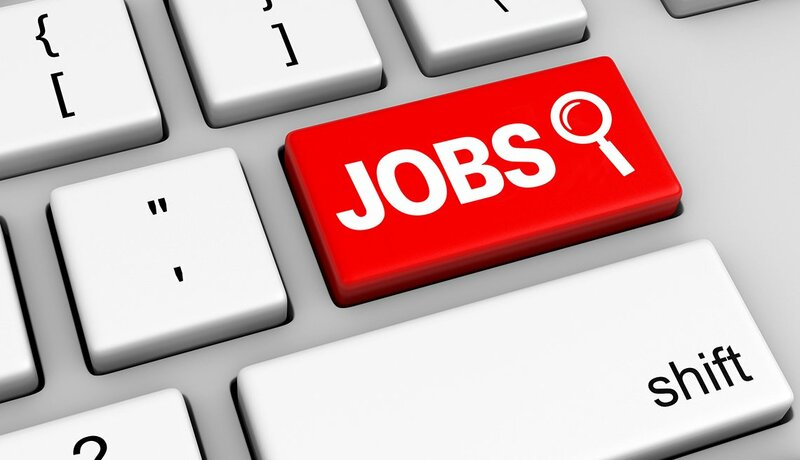 Fraudulent postings aside, technology has boosted the growth of home-based employment in recent years: FlexJobs, for one, reports that its remote job listings grew 52 percent from 2015 to 2017; the most common categories are sales, medical and health, education and training, customer service, and computer and information technology. Interested in working from home? Be inspired by these five people, who have found ways to stay in the workforce while staying really close to home. What she likes: There’s plenty of sunshine in her home office, and she has time for family. “The decrease in stress levels is unbelievable,” Weems says. The money: Weems, who works about 35 hours a week, made approximately $35,000 last year. 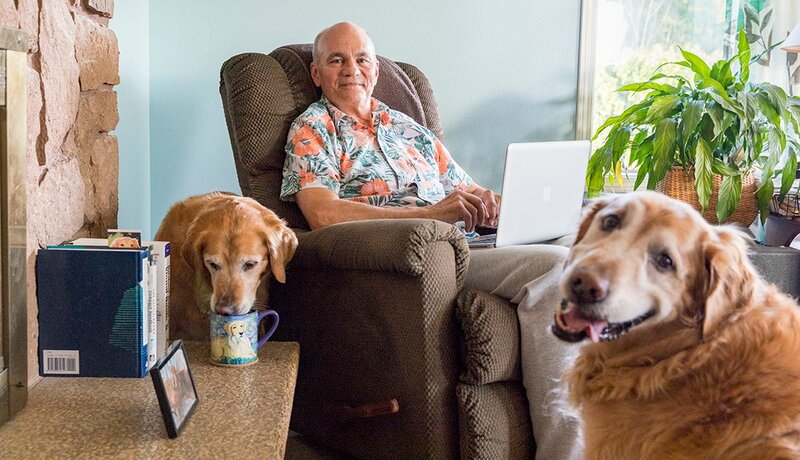 What he does: Working remotely for a sales and marketing support firm, he researches leads for the marketing campaigns his company does on behalf of clients, and he writes for those campaigns. How he landed the job: He signed up with a job search site. “The hardest part was narrowing my search to what I wanted to do,” Ratzlaff says. The money: Ratzlaff earns roughly $16,000 annually. 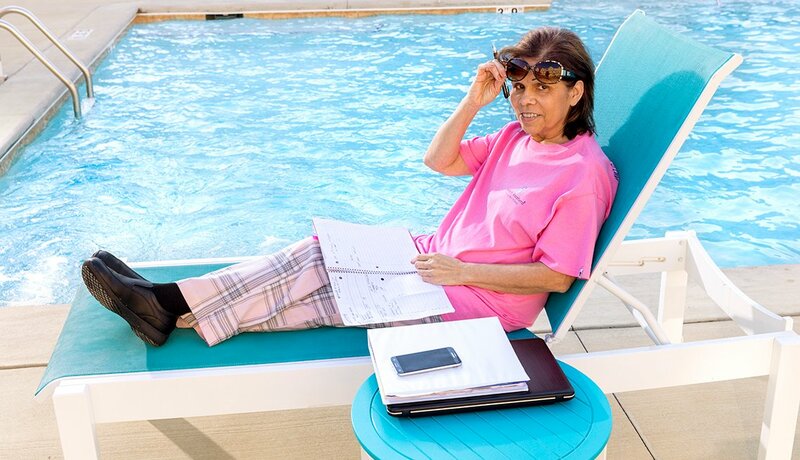 What she does: Oquendo, 69, provides insurance-rate quotes to insurance agents who work with businesses such as convenience stores and hotels. The agents send her applications, which she checks for missing information. After an insurer quotes a price for coverage, she finds out whether the customer wants to proceed. What she likes: New software for her work is continually rolling out, and Oquendo enjoys learning how to use it. “You can’t be stuck in old ways of doing things,” she says. 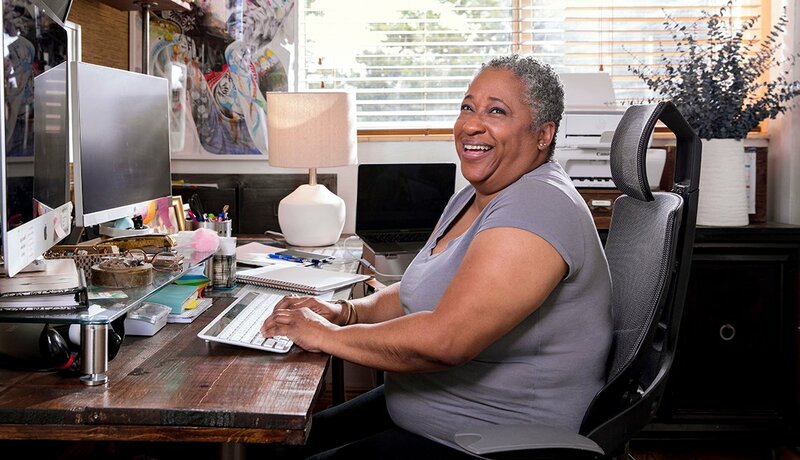 How she landed the job: Suspecting age discrimination in her traditional job hunt, she sought out an age-blind job with Work at Home Vintage Experts (WAHVE). “They valued my experience,” she says. The money: Oquendo, who works 35 hours a week, makes $17 an hour. Leslie Bailey-Clarke, 53, started working in the insurance business right out of college in 1987. After stints in customer service, sales and management, she’s now working out of a guest room turned office in her home. “I wanted to spend more time with my teenage daughter,” she says. The challenge: It’s a part-time job with no overtime, so that limits how much Bailey-Clarke can make. The money: Bailey-Clarke works around 30 hours a week for $20. She also spends several hours a week giving voice and piano lessons to aspiring actors, actresses, public speakers and performers. 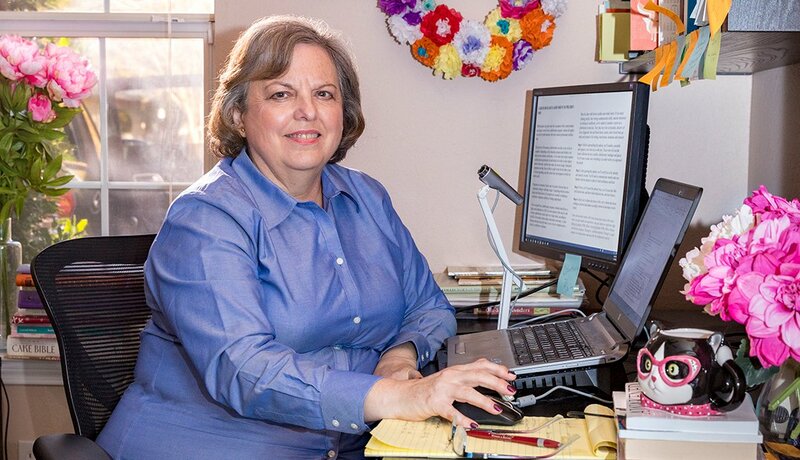 Diana Hood, 60, retired in 2013 after 33 years as an English teacher and school librarian in Texas. Nearly a year later, she set up shop in her daughter’s old bedroom. 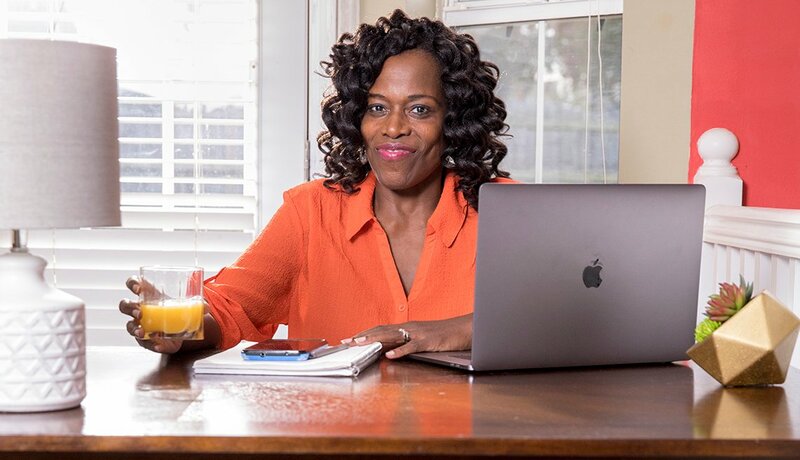 What she does: Hood teaches English literature to 200 seniors in public high schools across Texas who, for one reason or another, are studying at home and not attending a local school. Her work involves a virtual class, tutoring sessions, and constant communication with students via email and phone calls. What she likes: “I can talk to kids one-on-one without worrying about kids going nuts behind me,” Hood says. The money: Around $50,000 for a 10-month school year, which is on par with the surrounding school districts. Kerry Hannon, AARP jobs expert, is the author of Great Jobs for Everyone 50+. Follow her on Twitter @kerryhannon.